Punjabi University Distance Education 2019 - Punjabi University Distance Education DDE has released notification for admission to the various UG, PG, Diploma and Certificate Programs for the academic year 2018-19. 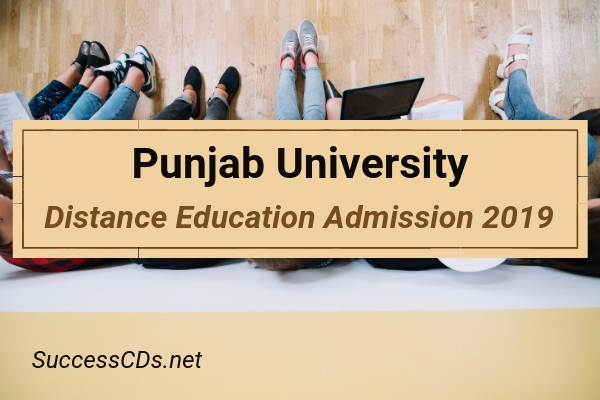 The complete details of Punjabi University Distance Education DDE 2019 such as application form, eligibility criteria, syllabus, admit card, result, admission process, date sheet etc are given below. Department of Distance Education, Punjabi University, Patiala introduced Semester System in most of the Courses but still a few courses will be run according to the Annual System. Candidate should check the eligibility conditions mentioned in the prospectus for the desired course before submitting the fee and admission form. For all courses, whether under semester system or annual system, if the above schedule is not followed then charges of Rs.500/- per day per student will be charged with the permission of Vice-Chancellor for submission of the certificate.